An American ABC by Maud and Miska Petersham, a 1942 Caldecott Honor Book, uses the alphabet to tell children the stories of many American heroes, icons, and places. This book was written at a time when Americans were truly proud of what our nation stands for in the world. Given recent unrest and uprisings stemming from hatred for the United States, I was proud to share these stories with my children. I would suggest reading this book in several sittings with younger children – while my kids enjoyed An American ABC, they did get squirmy by the end. 1. “Excellence of execution in the artistic technique employed.” – This book is full of beautiful, old-fashioned illustation with creative use of reds, blues, and whites. 2. “Excellence of pictorial interpretation of story, theme, or concept.” – I could easily decipher the topic of each page from the picture alone. 3. “Appropriateness of style of illustration to the story, theme or concept.” – Although the illustrations are somewhat old-fashioned, they fit the overall tone of the book. I loved the use of patriotic colors on each of the pages. 4. “Delineation of plot, theme, characters, setting, mood or information through the pictures.” – Each page has a different specific idea that is well portrayed in the illustrations, but even better, the overall theme of this book is made clear on every page. 5. “Excellence of presentation in recognition of a child audience.” – I appreciated using this book to help make these American images more familiar to my children. 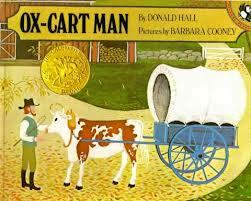 Abraham Lincoln, the 1940 Caldecoot Medal Book by Ingri and Edgar Parin d’Aulaire, expertly tells of Lincoln’s story allows children to relate to this American icon. The illustrations in d’Aulaire’s book alternate color with black and white on facing pages. 1. “Excellence of execution in the artistic technique employed.” – Absolutely fascinating, detailed, and beautiful pictures! The color pages are bright and eye-catching. 2. “Excellence of pictorial interpretation of story, theme, or concept.” – Each aspect of the story is pictured either in a large page-sized print or smaller insets. Some of the questions my children asked were specifically answered by the illustrations. 3.“Appropriateness of style of illustration to the story, theme or concept.” – The folk art-type illustrations appropriately depict the country life of this man. 4.“Delineation of plot, theme, characters, setting, mood or information through the pictures.” – All of these criteria are more than satisfied. I found it poignant that the last page does not discuss Lincoln’s assassination, but simply says that he sat down in his rocking chair. The illustration clearly shows him seated in a setting reminiscent of a theater box in a rocking chair just as he was when he was shot. 5.“Excellence of presentation in recognition of a child audience.” – While this book was a bit long for my younger children, my 5-year old loved the entire book and was captivated by the illustrations. 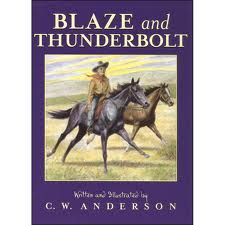 Summary: Blaze and Thunderbolt from the Billy and Blaze series by C.W. 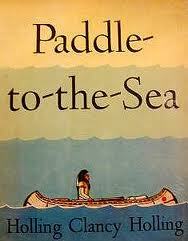 Anderson has long been one of my favorite books. What little girl doesn’t like a horse story? What little boy doesn’t like a cowboy story? Billy and Blaze befriend Thunderbolt, the last of the wild horses, while vacationing on a ranch in the West. From the first time Billy sees Thunderbolt escaping from cowboys who are trying to capture him until he is finally able to ride the horse and call him his own, the boy is intrigued by the magnificent animal. Pros: Throughout the story Billy learns the importance of perseverance and gentleness as he befriends this wild horse. Cons: Since we live in town, I hope my children don’t get the idea that they will get a horse for a pet.